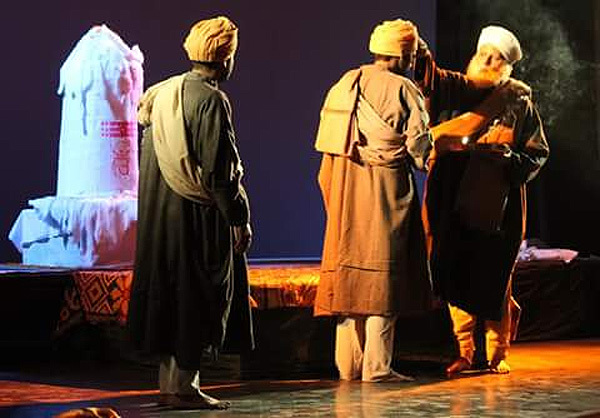 A couple of days back, a theatre group performed a drama in Abhnav Theatre, Jammu, by the name of 'Ek Aur Birbal'. I hope they did justice to the character of Birbal Dhar, the main protoganist of the events that eventually led to the end of despotic rule of Afghans over Kashmir in early 19th century, after suffering for 67 long years. The story of Birbal Dhar; his courage, sacrifice and the grusome assasination of his wife and daughter in law, the capitulation of Hakarbhashi and his treachery and the secret manipulations of those who took enormous risk, are stuff of immense drama, poignant tragedy, ruthless vengeance. I am really surprised that no one has thought it fit to make a movie on this. Any takers ? Twenty eight Afghan governors ruled Kashmir during the 67 years of their despotic occupation. It can safely be said that the corner-stone of Afghan rule in Kashmir was terror and the only legacy they left behind was their resort to brutality and savage torture. As one historian said, “they thought no more of cutting of heads than of plucking a flower.” Most historians agree that it was the darkest period in the history of Kashmir even by its own standards of darkness which it had seen in the past. Though almost all sections of people suffered at the Afghan hands, the main victims of their brutal rule were the Shias, Hindus and Bombas. In the meanwhile, in a blow to Afghan power, young Ranjit Singh, whom the Afghan king, Shah Zaman, had appointed as the governor of Punjab, declared independence in 1801. Soon thereafter, Maharaja Ranjit Singh became a powerful regional king. An interesting episode which had far-reaching consequences for Afghan rule in Kashmir and clearly establishes their unprincipled governance, cunning, avarice and greed, which formed the bedrock of their rule, is narrated here. Three distinguished Pandits, namely Sukhram Safaya, Mirza Pandit and Birbal Dhar had been appointed by Afghan governor, Azim Khan, as revenue collectors. Due to crop failure, Birbal Dhar could not collect the expected revenue. The governor insisted that Birbal would have to pay one lac rupees (100,000) to make good the loss. In the coming few days, Birbal, along with many other Pandits, was threatened and browbeaten. Expecting brutal reprisal in keeping with Afghan track record, particularly in the existing intolerable conditions, some distinguished Pandits resolved to turn to the rising power of Sikh empire, headed by Maharaja Ranjit Singh, to save Kashmir from further disaster. Accordingly, Birbal Dhar and his minor son, Raja Kak Dhar left for Lahore in disguise, with a petition signed by prominent Pandits, inviting him to take over the Valley. However, the Afghan governor got wind of it. He unleashed a reign of terror and had many distinguished Pandits killed, their properties confiscated and jaziya imposed on them.He sent his forces to look for Birbal Dhar but to no avail. He, therefore, turned his attention to the latter’s wife and his daughter-in-law, who had taken shelter in the house of a trustworthy Muslim, Qadus Gojwari, on the advice of another distinguished and trustworthy Kashmiri Pandit, Vasakak Harkarabashi. The governor tasked Vasakak to look for the two unfortunate women. However, even though Vasakak knew their location, he did not disclose it. All stratagems were tried to make him spill the beans, but he did not budge. A fine of rupees 1000 per day was imposed on him. Yet he maintained his silence. He was subjected to inhuman torture and untold atrocities, but it did not break his resolve. Finally, his abdomen was ripped open and he was brutally murdered. Despite this sacrifice, Azim Khan succeeded in digging out the information about the secret hiding place of these unfortunate women from Birbal Dhar’s son-in-law, Tilak Chand Munshi, who had learnt about the whereabouts of his mother-in-law and his sister in law from his wife. The older woman committed suicide by swallowing a piece of diamond and the younger one was violently converted to Islam and handed over to an Afghan noble who took her to Kabul. Finally, came the turn of Vasakak Harkarabashi. His abdomen was ripped open and his dead body trampled upon. To quench his thirst for retribution, Azim Khan continued with the terror that he had let loose on the innocent and peaceful Pandits. In his paranoia he rounded up all those whom he suspected of being in league with Birbal Dhar. He sent them all to a concentration camp established near Nishat garden, where numerous atrocities were committed on them. The kind of torture inflicted on them knew no bounds. Azim Khan left Kashmir in 1816 with 20 million rupees, leaving the Valley in the care of his younger brother, Jabbar Khan, who perhaps, was the cruellest of all Afghan governors. As if this was not enough, between 1812 and 1816, many unsuccessful attempts were made by Shahmirs and Chaks to annex Kashmir. This resulted in continued strife which tore the fabric of Kashmiri society and left deep scars on it. Birbal Dhar, in the meanwhile, succeeded in convincing Maharaja Ranjit Singh to annex Kashmir and bring to an end the cruel rule of the Afghans. He promised to compensate the Maharaja if the Sikhs were unable to take Kashmir. As a guarantee, he left behind his son Raja Kak Dhar with the king. However, the guarantee remained un-cashed as the Sikh forces finally entered the valley under Mirsa Dewan Chand on July 15, 1819, and annexed the Valley. Jabbar Khan’s defeat brought to an end the inglorious rule of Afghans. The magnanimity of Kashmiri Pandits and their regard for religious tolerance can be gauged from some incidents that took place immediately after the Sikhs annexed the Valley. In those troubled times there appeared no guarantee for the safe treatment of Afghan women, particularly when seen in the background of the treatment meted out to Pandit women in general and to the wife and daughter of Birbal Dhar in particular. However, Afghan womenfolk were saved only because of the intervention of an illustrious Pandit, Sahajram. On his advice they were sent to Kabul, escorted by Sahajram himself. That was how a Kashmiri Pandit saved the honour of Afghan women, when their own women had been treated so shabbily. Another incident concerns the impending demolition of the mosque of Shah Hamadan. Some Sikhs were determined to knock down this mosque. When Muslims learnt of it, they sent a delegation under Syed Hassan Shah Khanyari to Birbal Dhar to plead with him to use his influence with the Sikhs to dissuade them from going ahead with the destruction of this mosque. Birbal Dhar moved swiftly in the matter and convinced the Sikhs that it was not the right thing to do and thus saved it from being destroyed. Historian, GMD Sufi, acknowledges it to the lasting credit of the true character and nobility of the distinguished Kashmiri Pandit. Subsequently, Diwan Moti Ram was appointed by the Sikhs as their first governor, with Birbal Dhar as his Peshkar (Chief Local Advisor). Col Tej K Tikoo(Retd) was born in Srinagar on 15 April 1950. He, along with his parents, Late Sh Radha Krishen Tikoo and Smt Sumawati Tikoo, and his siblings lived at Kani Kadal , Srinagar, prior to their exodus in 1990. 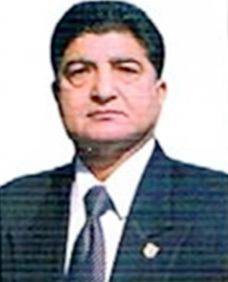 He did his schooling in D.A.V and Khalsa High Schools, Srinagar, and went to Sri Pratap College, thereafter. While in college, he captained the college cricket team and represented Kashmir University in All India Rohinton Baria Trophy (later on, he also played in the inter Services cricket tournament). It was while studying in the college, that he was imprisoned during the ‘Parmeshwari Handoo agitation’ for, perhaps, the longest period of time (12 Aug 1967 to 04 Sept 1967). Incidentally, his brother, Ashok Tikoo, too was imprisoned as part of the second group of Satyagrahis, a couple of days later. Col Tikoo was commissioned in Aug 1971, in one of the most elite infantry Regiments of Army, The Naga Regiment. A couple of months later, he saw action in the 1971 Indo-Pak war on the eastern front which saw the birth of Bangladesh. In later years, he took part in every war/ counter insurgency operation which Indian Army has been involved in, since independence. These include operations in Siachen, counter insurgency operations in Nagaland, Manipur, Assam, Punjab, Srilanka (as part of IPKF) and later in J&K. An alumnus of Defence Services Staff College, Wellington, Col Tikoo commanded an elite unit of Indian Army- The 1st Battalion of The Naga Regiment. He was also an Instructor at the Officers Training Academy, Chennai and Army War College, MHOW, in the Senior Command wing. During his Service career he visited many foreign countries as part of the inter-Services goodwill missions and was decorated twice. He retired from the Army in 2004. THANKS FOR THIS VALUABLE PIECE OF HISTORY AND THE PERSONAL EFFORT THAT GOES WITH IT. I HOPE AND I MAKE SURE IT REACHS TO MAXIMUM PEOPLE,THANK YOU.